The ILS / ITS Noel O’Connell Annual Memorial Lecture will be given by Dr Pádraigín Riggs on the subject of ‘The role of London in the life and work of Pádraic Ó Conaire (1882-1928)’. This lecture is organised in conjunction with the Irish Texts Society. 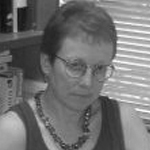 Dr Pádraigín Riggs was a Senior Lecturer in the Department of Modern Irish, UCC, until her recent retirement. She has published studies of the Irish-language writers Donncha Ó Céileachair and Pádraic Ó Conaire, and she is currently engaged in writing a biography of Eleanor Hull, who was a President of the Irish Literary Society and one of the founders of the Irish Texts Society, and its first Honorary Secretary. As well as her prolific academic writing on modern Irish-language literature she is also an established literary critic in that area. She is a member of the Council of the Irish Texts Society and is secretary of the committee that organises the annual Irish Texts Society/UCC Irish Departments Seminar and has edited three volumes of that Seminar’s Proceedings in the ITS Subsidiary Series. She has a deep interest in the history of the Irish in London.